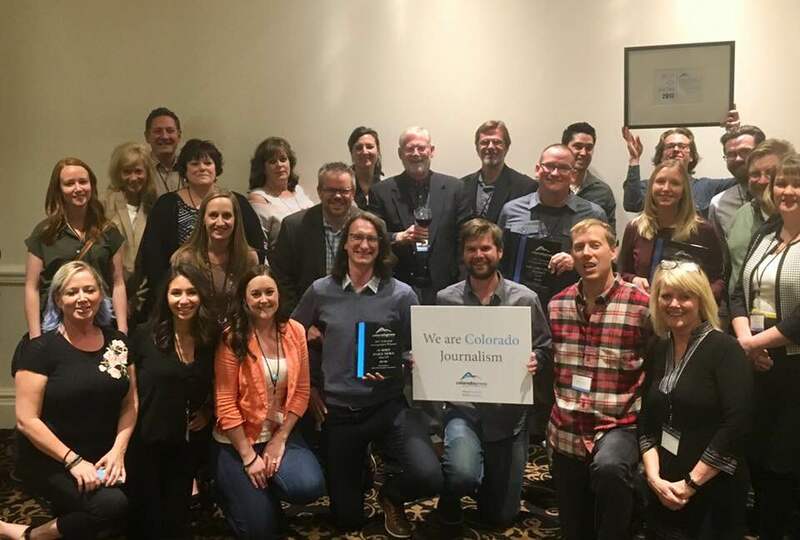 Staff members from several Swift Communications newspapers celebrate their wins at the Colorado Press Association Annual Conference on Saturday in Colorado Springs. In the Class IV division, the Craig Press was honored with awards for General Excellence and Advertising Excellence, as well as 19 individual awards. COLORADO SPRINGS — The Craig Press was honored with awards for General Excellence and Advertising Excellence on Saturday at the Colorado Press Association Annual Conference in Colorado Springs. In addition to the major awards, the newspaper staff also garnered 19 individual awards for excellence in Division IV. Individual awards are as follows. Second place: Renee Campbell, Thomas Martinez, Andy Bockelman, Sasha Nelson, Patrick Kelly, Lauren Blair — Best Editorial Special Section, Glossy or Magazine.